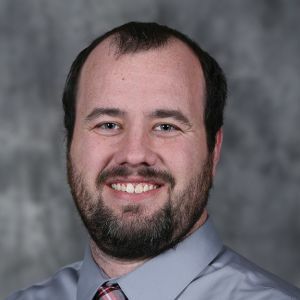 Mr. Knickerbocker has five years of experience in transportation engineering, working primarily in the areas of traffic operations, safety, and asset management. He is a research engineer assisting in the management and support for several research projects for the Iowa Department of Transportation, Midwest Transportation Center, Strategic Highway Research Program, and the Federal Highway Administration through collaboration with the Center for Transportation Research and Education. Adu-Gyamfi, Y., A. Sharma, S. Knickerbocker, N. Hawkins, and M. Jackson. 2016. A Comprehensive Data Driven Evaluation of Wide Area Probe Data: Opportunities and Challenges. Transportation Research Board 95th Annual Meeting Compendium of Papers, Washington, DC, Jan. 10–14. Adu-Gyamfi, Y., A. Sharma, S. Knickerbocker, N. Hawkins, and M. Jackson. 2015. Reliability of Probe Sensor Data for Detecting Congestion Trends. IEEE 18th International Conference on Intelligent Transportation Systems, Canary Islands, Spain, Sept. 15–18. Hallmark, S., S. Knickerbocker, and N. Hawkins. 2013. Evaluation of Low Cost Traffic Calming for Rural Communities – Phase II. Midwest Transportation Consortium, Institute for Transportation, Iowa State University, Ames, IA. Dong, J., A. Houchin, N. Shafieirad, C. Lu, N. Hawkins, and S. Knickerbocker. 2015. VISSIM Calibration for Urban Freeways. Center for Transportation Research and Education. Institute for Transportation, Iowa State University, Ames, IA. Smadi, O., N. Hawkins, S. Hallmark, and S. Knickerbocker. 2013. Evaluation of the TAPCO Sequential Dynamic Curve Warning System. Federal Highway Administration, Washington, DC.